Abilify is used to treat the symptoms of psychotic conditions such as schizophrenia and bipolar disorder (manic depression). It is also used together with other medications to treat major depressive disorder in adults. Abilify is also used to treat irritability and symptoms of aggression, mood swings, temper tantrums, and self-injury related to autistic disorder in children who are at least 6 years old. Abilify may also be used for other purposes not listed in this medication guide. Abilify is not for use in psychotic conditions that are related to dementia. Abilify may cause heart failure, sudden death, or pneumonia in older adults with dementia-related conditions. Stop using Abilify and call your doctor at once if you have the following symptoms: fever with stiff muscles and rapid heart rate; uncontrolled muscle movements; symptoms that come on suddenly such as numbness or weakness, severe headache, and problems with vision, speech, or balance. Abilify can cause side effects that may impair your thinking or reactions. Be careful if you drive or do anything that requires you to be awake and alert. Avoid drinking alcohol, which can increase some of the side effects of Abilify. Before you take aripiprazole, tell your doctor if you regularly use other medicines that make you sleepy (such as cold or allergy medicine, narcotic pain medicine, sleeping pills, muscle relaxers, and medicine for seizures, depression, or anxiety). They can add to sleepiness caused by Abilify. Avoid becoming overheated or dehydrated. Drink plenty of fluids, especially in hot weather and during exercise. It is easier to become dangerously overheated and dehydrated while you are taking Abilify. What should I discuss with my healthcare provider before taking Abilify? Abilify is not for use in psychotic conditions that are related to dementia. Abilify may cause heart failure, sudden death, or pneumonia in older adults with dementia-related conditions. The liquid form (oral solution) of this medication may contain up to 15 grams of sugar per dose. Before taking Abilify oral solution, tell your doctor if you have diabetes. The orally disintegrating tablet form of this medication may contain over 3 milligrams of phenylalanine per tablet. Before taking Abilify Discmelt, tell your doctor if you have phenylketonuria. Abilify may cause you to have high blood sugar (hyperglycemia). Talk to your doctor if you have any signs of hyperglycemia such as increased thirst or urination, excessive hunger, or weakness. If you are diabetic, check your blood sugar levels on a regular basis while you are taking Abilify. FDA pregnancy category C. It is not known whether Abilify is harmful to an unborn baby. Tell your doctor if you are pregnant or plan to become pregnant during treatment. Abilify can pass into breast milk and may harm a nursing baby. Do not use this medication without telling your doctor if you are breast-feeding a baby. How should I take Abilify? 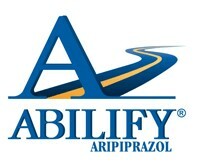 Take Abilify exactly as it was prescribed for you. Do not take the medication in larger amounts, or take it for longer than recommended by your doctor. Follow the directions on your prescription label. Abilify can be taken with or without food. Measure the liquid form of Abilify with a special dose-measuring spoon or cup, not a regular table spoon. If you do not have a dose-measuring device, ask your pharmacist where you can get one. It is important to take Abilify regularly to get the most benefit. To be sure this medication is helping your condition, your doctor will need to check your progress on a regular basis. It is important that you not miss any scheduled visits to your doctor. Store Abilify tablets at room temperature away from moisture and heat. Abilify oral solution should be stored in the refrigerator and can be used for up to 6 months after opening. Seek emergency medical attention if you think you have used too much of this medicine. Overdose symptoms may include drowsiness, vomiting, agitation, aggression, confusion, tremors, fast or slow heart rate, seizure (convulsions), trouble breathing, feeling light-headed, or fainting. What should I avoid while taking Abilify? Abilify can cause side effects that may impair your thinking or reactions. Be careful if you drive or do anything that requires you to be awake and alert. Avoid drinking alcohol, which can increase some of the side effects of Abilify. What other drugs will affect Abilify? Before you take Abilify, tell your doctor if you regularly use other medicines that make you sleepy (such as cold or allergy medicine, narcotic pain medicine, sleeping pills, muscle relaxers, and medicine for seizures, depression, or anxiety). They can add to sleepiness caused by Abilify. fluoxetine (Prozac), fluvoxamine (Luvox), or paroxetine (Paxil). This list is not complete and there may be other drugs that can interact with Abilify. Tell your doctor about all the prescription and over-the-counter medications you use. This includes vitamins, minerals, herbal products, and drugs prescribed by other doctors. Do not start using a new medication without telling your doctor. Your pharmacist can provide more information about Abilify.